It's Memorial Day here in the states, a holiday weekend that unofficially begins summer (even though technically summer won't start for more than three weeks). But the holiday itself is a day dedicated to remembering those who have served in the military and are no longer with us. While enjoying a holiday weekend outing with my daughter and friends to the De Young Museum and making daisy chain crowns, I was thinking about the echoes of Memorial Day in relation to my Regency/Napoleonic set series. My protagonists, Malcolm and Suzanne Rannoch, are spies and Malcolm's cover is as a diplomat not a soldier. But they have numerous friends in the military and just about every book has not only characters who are soldiers but references to friends who have fallen, whether fictional characters or real life ones, such as Alexander Gordon and Colonel Canning who fell at Waterloo. My current WIP is set in London in 1818, almost three years after Waterloo, with Malcolm now in Parliament. Both he and Suzanne technically have left the intelligence game behind. But of course the life of a spy can't be so easily left, and the shadows of the Napoleonic Wars hang over them and over London n more ways than one. Britain is flush with victory but also still recovering from years of war. Many have lost friends and loved ones, And many veterans have returned from the wars less than whole. Not all are as fortunate as Lord Fitzroy Somerset, Wellington's military secretary and a friend of Malcolm's in the world of my books. Fitzroy lost his right arm at Waterloo, but survived the amputation, learned to write with his left hand, and resumed his duties (he went on to become a general and tragically die in the Crimean War). But for rank and file soldiers continuing to find work after losing a limb was more problematic. With the post war army reduced in size, returning soldiers flooded the job market, just as changes brought on by industrialization and enclosing farm land were causing upheaval and dislocation, A number of the dark forms Malcolm and Suzanne see sleeping in Hyde Park during a midnight adventure would be former soldiers, many lacking a limb. The French Revolution and Napoleonic Wars also sent a number of Continental émigrés fleeting Britain, mostly from France. At first an air of romance surrounded them, but the émigrés were largely penniless and as time wore on their welcome began to pall. Those with powerful friends fared better. The Duc and Duchesse deGramonts were friends of the Duke and Duchess of Devonshire. 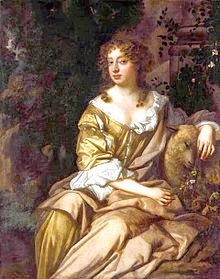 Their daughter, Corisande de Gramont, grew up close to the Devonshire House children and married Lord Ossulton. But even émigrés with friends were in the not always comfortable position of depending on their friends’ charity. Those without powerful friends often subsisted in genteel poverty. 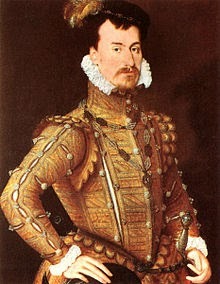 Some returned to France after Waterloo and sought to have their estates restored, but others remained in England (Corisande de Gramont married Lord Ossulton, heir of the Earl of Tankerville). In the wake of Waterloo, new émigrés sought refuge in England. 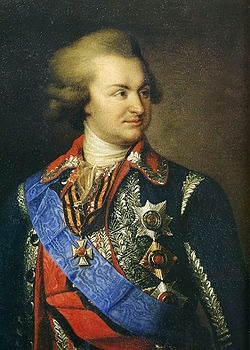 Charles de Flahaut, who had been Napoleon’s aide-de-camp, narrowly escaped arrest or formal exile with the help of his father Prince Talleyrand (Flahaut was Talleyrand’s illegitimate son though nominally the son of his mother’s husband). Flahaut, who was also the former longtime lover of Hortense Bonaparte the Empress Josephine’s daughter, sought refuge in England and married the Scottish heiress Margaret Mercer Elphinstone. Not that Flahaut precisely found an unconditionally warm welcome in England either. His wife’s father didn’t talk to them for many years. So shadows of the French Revolution and the Napoleonic Wars would hang over the London of 1818 in many ways, both tangible and intangible and would affect the lives of those living there just as they affect Malcolm and Suzanne and the other fictional and real characters in my book. Writers, what recently past historical events hang over books you've written? Readers, can you think of books in which war is a vivid echo even though the book isn't actually set during the war? Do you tend to think of the Regency Era and the Napoleonic Wars are separate or connected? It's time to play "What 10 Historical Figures Would You Invite to Dinner?" I love to play the game where you host an imaginary dinner party and invite 10 guests from the past to join you for an evening of provocative conversation. Over the years, since I’ve been writing historical fiction and historical nonfiction (often getting novel ideas after researching the lives of royal figures for my nonfiction books), I’ve amassed several of these hypothetical guest lists. The stickiest wicket for me has always been: when someone fascinates me, do I invite their partner as well? 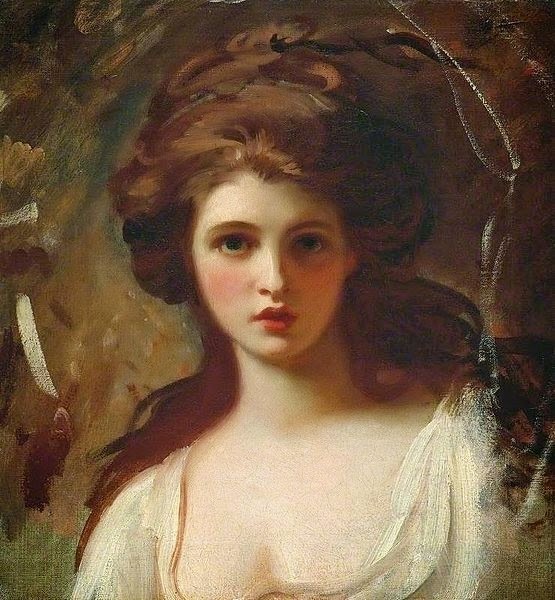 From my novel TOO GREAT A LADY, the lady herself, Emma Hamilton, and her inamorata, England’s greatest naval hero nonpareil, Lord Horatio Nelson. From my historical nonfiction title ROYAL ROMANCES, Grigory Potemkin—possibly the sexiest royal paramour ever, and one of the most powerful, given the viceroyship of eastern Russia by Catherine the Great, who may (or may not) have secretly become his wife. 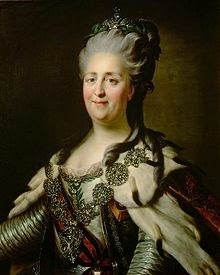 And because she was one of the two most powerful and influential women in the world at the time (the other being Marie Antoinette’s mother Empress Maria Theresa), and staged a coup to capture the throne of Mother Russia, and had a marriage from hell and grabbed life with both hands and lived it on her terms while ruling the largest territory in the world, Catherine the Great. From ROYAL AFFAIRS, the charming, tenacious, loyal, talented, up-by-the-bootstraps redheaded actress, “pretty, witty Nell Gwyn,” a woman I have always related to; and the love of her life, the Merry Monarch, Charles II. 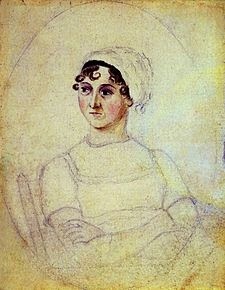 From BY A LADY, the woman who published her own maiden novels as such and who influenced my life so much, Jane Austen. Miss Austen needs a date, and although I’ve never written about him, I’ve acted in his plays so many times and remain fascinated by the mind that penned them: William Shakespeare. I’m not certain any author’s Dinner for 10 Historical Figures can be complete without the Bard of Avon. 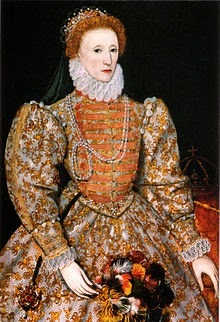 And because I’d like to give Catherine the Great the opportunity to converse with another uber-powerful female monarch who did it her way, I’d invite Elizabeth I, whose did-they-or didn’t they- relationship with Robert Dudley I wrote about in ROYAL AFFAIRS. So, if course, her “bonny Robin” would be the last guest on this list of 10. Would Elizabeth give any hints of something more between them in the presence of Catherine who would probably be fairly openly flirting with Potemkin? Jane Austen is on record as disliking Elizabeth I, preferring by far her Catholic cousin to the north, Mary, Queen of Scots. So that should make things interesting. 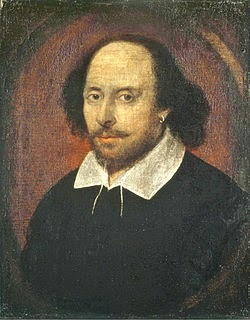 And, observing his fellow guests, Shakespeare might come up with some intriguing material. can't you see Nell Gwyn angling for a role and Shakespeare's reaction to a female on the stage? With her skills at mimicry, she'd probably run through a dozen or so of his comic monologues at rapid fire speed to delight the rest of the guests. Jane Austen adored the theatre. What would she make of this--and the chance to sit down and chat with Shakespeare? And would he try to finagle more commissions with Her Majesty right at his elbow? Queen Elizabeth was passionate about enlarging the royal navy. 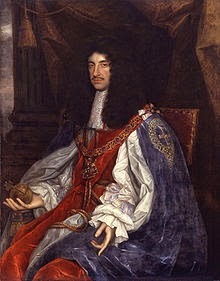 So, too, were Charles II and Catherine the Great. In fact Potemkin did so on her behalf for Russia and was then accused of inventing warships, even after an actual tour of the Crimea, comprised of an international committee, saw the vessels with their own eyes. 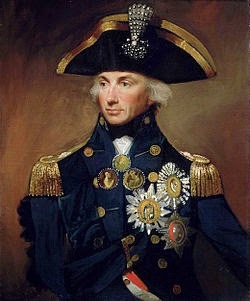 I wonder what strategic pointers Admiral Nelson might give them. Would Dudley and Potemkin end up having a private chat over tobacco and brandy, discussing the pitfalls and perils of having to keep their romances with the most powerful woman in the world a secret, while Emma and Nell compare notes on what it's like to be the mistress of their era's greatest hero, when -- sigh -- there's at least one other woman in the picture as well! Who would be on your Dine with Dead People Historical Supper for 10? And why? My daughter Mélanie and I just got back from a long spring weekend at the Oregon Shakespeare Festival with friends. Mélanie is too young to go to the plays, though she loved the meals out and (in the picture above) the shopping expeditions, but my two friends and I saw two plays a day, ranging from Shakespeare to new works. In my recent post about Hamlet, I focused on the historical context of the play. I thought about that on this trip as well, but I also thought about the timelessness of Shakespeare and the connections between plays across the centuries. Our first show of the trip was an hysterical Comedy of Errors. We closed out our weekend of theatre-going with the equally hysterical The Cocoanuts, a Marx Brothers vehicle (in which I had the fun of being the audience member brought up on stage; years after I stopped acting, I can say I was in an Oregon Shakespeare Festival production). Though written over four hundred years apart, the plays shared a sense of the ridiculous, a breakneck pace, physical comedy ,and rapid fire word play. The other Shakespeare play of the trip (we will see more when we go back in August and the outdoor theatre has opened) was The Tempest. Probably the bed production of The Tempest I've ever seen, and I've seen it about ten times, over thirty some years. Wonderful acting all round. Denis Arndt's closing monologue was a model of simplicity that was intensely moving. I'd love to be able to recreate such powerful economy as a writer. The morning of the day we saw The Tempest, we had been talking at breakfast about the political intrigue in Game of Thrones and Scandal. Watching the play unfold, i realized that the Milan from which Prospero and Miranda have been exiled sounds not unlike the world of those two series, with a constant struggle for power which even continues on the island with Caliban's mother imprisoning Ariel, Prospero taking over the island, Caliban scheming to rest control back. An adaptation of A Wrinkle in Time was as magical in its own way as The Tempest. And those two plays and a brilliant new play, Water by the Spoonful, all dealt with parents and children and coming of age in ways that were different and yet showed how family dynamics have a lot of commonality across the centuries. As always, i left the festival creatively recharged and inspired to write. I usually do some of my best thinking about my writing on the drive home. Writers, do you turn to the theatre for historical research? Are you more struck by similarities or differences when you look at plays and books written in other eras? And how do you recharge creatively? Readers, do plays written in other eras enrich your reading of historical fiction?